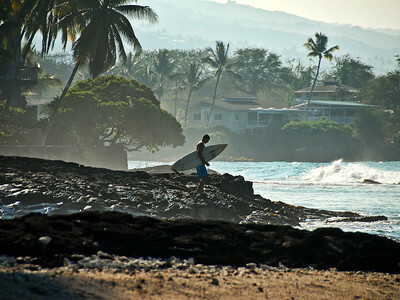 Photos of waves and surfing from Hawaii. DANGER - HIGH SURF! Do Not Go Beyond this Point! 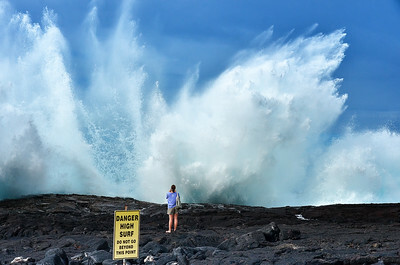 Unless of course you're a crazy photographer.... Keahuolu Point, Big Island of Hawaii. Sheer power hitting Kaiwi Point. Big island of Hawaii. WNW swell of January 22, 2015. Hale with a front seat view at Magic Sands. Kailua-Kona, Hawaii. WNW swell of January 22, 2015. Big set at Magic Sands. 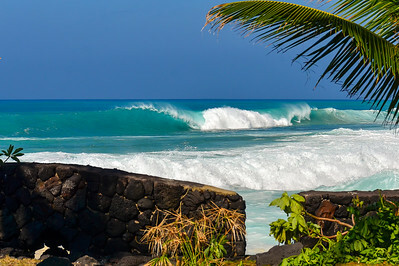 Kailua-Kona, Hawaii. WNW swell of January 22, 2015. Hollow rights at Magic Sands. Kailua-Kona, Hawaii. WNW swell of January 22, 2015. Unidentified at Banyans. Kailua-Kona, Hawaii. WNW swell of January 22, 2015. Local crew watching big waves at Magic Sands. Kailua-Kona, Hawaii. WNW swell of January 22, 2015. Unidentified with beautiful Brewer gun ready to paddle out at Banyans. Kailua-Kona, Hawaii. WNW swell of January 22, 2015. Awestruck tourists watching big waves at Living Stones church (Banyans). Kailua-Kona, Hawaii. WNW swell of January 22, 2015. Cop telling clueless tourists to step away from the seawall. Kailua-Kona, Hawaii. Banyans during NW swell of December 20, 2013. Kailua-Kona, Big Island Hawaii. 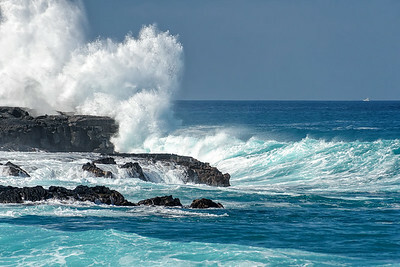 Surf hitting Kaiwi Point near entrance to Honokohau harbor. Big island of Hawaii. 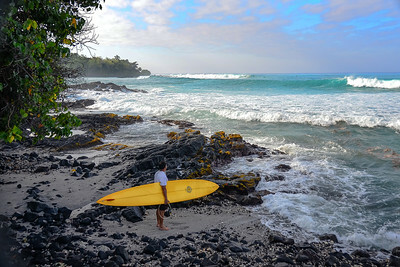 Kua Bay. Big Island Hawaii, January 5, 2012. 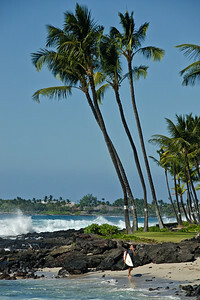 "Spin Drifters Firing" Kailua-Kona, Big Island Hawaii. 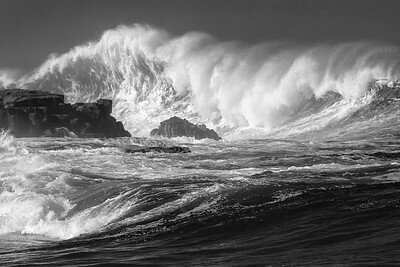 Spind Drifters during NW swell of December 20, 2013. Kailua-Kona, Big Island Hawaii.